After nearly a decade, Vero Beach finally had success this week in Tallahassee. 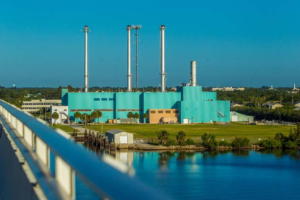 The Florida Public Service Commission voted 3-2 Tuesday afternoon to approve the sale of the Vero Electric to Florida Power and Light and for FPL to charge Vero’s 34,000 customers FPL rates. Testifying at the hearing were Vero Beach Mayor Harry Howle, Indian River Shores former mayor Brian Barefoot, Shores Councilman Bob Auwaerter, County Commission Chair Peter O’Bryan and Commissioner Tim Zorc, plus Florida State Senator Debbie Mayfield and Representative Erin Grall. CPA and utility activist Glenn Heran spoke on behalf of the 61 percent of outside-the-city customers who pay Vero rates without representation. The Florida Office of Public Counsel stated that it would not hold a hearing to oppose the transaction, and would abide by the decision of the PSC. FPL and Vero are hoping to close the sale on or before October 1, 2018.